A very kind comment was left today asking how we are all doing. Thank you for your kindness, we are happy to give an update. We appreciate so many of you who loved and prayed for all of us through this journey. You have shown Christ to us beyond what we could have imagined. The oldest girl continues to live with the same family and is a senior in a local private school. She will be 19 this fall and has chosen to stay in the U.S. since her 18th birthday. She is considering colleges for next year, among them a university in the nearest city to her hometown in Ukraine. Her younger sister and brother were adopted in July, 2012, by a local family with six younger children, 4 from international adoption. This girl, now almost 18, has a gift and passion for young children and a larger family with more children was one of the most important things she desired in a family. They home school and now live on a working farm. I recently saw a precious note her brother had written in English with beautiful, perfect penmanship. Our son, Alex, now 17, biologically unrelated to the other three, is amazing. He is extremely academically gifted, and equally adept socially. We have been so blessed with wonderful friends and a school perfectly fitted for him. We home school and he attends an excellent, very highly academic school for home schoolers. He is taking American Literature, Modern World History, Physics, Psychology and Pre-Calculus with no additional help with English and maintains top grades. Each of his classes meet once each week for 90 minutes for instruction and he completes the remaining 4 days work at home. He is a varsity starter on the school soccer team and plays competitive table tennis in the off-season. 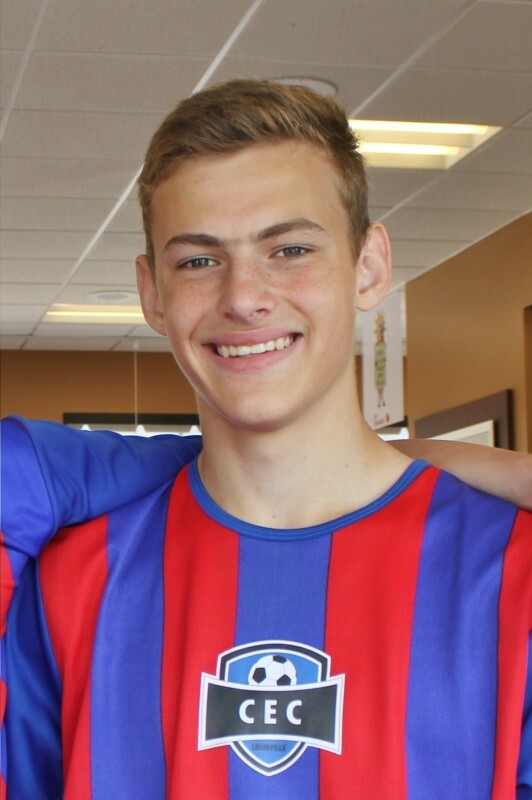 He enjoys high school worship, home Bible studies and activities through our church, Southeast Christian. Many of you knew Alex had an old head injury and corrective neurosurgery in December of 2011. Thank you for praying with us for a successful recovery, your prayers were answered powerfully. He has recovered fully and is cleared for all activities; to his delight, even heading soccer balls. He is healthy and beyond thriving, at 10″ taller and 40+ lbs more of him to love than when we stepped off the plane 27 months ago. He continues to grow physically and in his walk with Christ. This one was taken tonight, when his team beat their biggest rivals in the opening game of this weekend’s tournament. Mom and Dad are doing well. 🙂 We love the many friends, activities and fun Alex has brought to our home. He has a joyful, happy spirit along with his quick wit and fun-loving pranks that keep us laughing. He has friends coming and going all the time. We savor the time and our only regret is that we missed his first 15 years. He has a tender heart and sweet spirit that is endearing. To the commenter today that inspired this post, thank you so much for asking. We have learned much from this journey but the most powerful thing is that ‘God Has This’ and that we are called only to follow and be obedient. We are never guaranteed that our desires or preferences will be the outcome. This has never been about us. Obedience and faithfulness to follow wherever Christ leads is our heart’s deepest desire. We learned quickly that our timing is not His timing…and we are so grateful for that. If our adoption journey had followed our timetable, we would have traveled one year earlier and Alex would not have been registered for international adoption and likely not here today. We learned that sometimes God uses us as conduits and we are not the destination. It can be a hard journey and not what we would have chosen, but His plan is perfect. There is no greater blessing than to be right in the center of God’s will, even when that is so very different than what we could have imagined. To each of you that followed the journey, prayed us to Ukraine and through 95 uncertain days, then the difficult early weeks and months at home, there is indeed joy in the morning!! After some very dark nights and tough days, this is the joyful morning and we could not be more blessed. Thank you…we love you all! It has been one year this week since we met our children. The view from here is nothing like what we pictured sitting in that courtroom in Ukraine. But, God’s ways are different than our ways. One year since we took a referral and traveled to their orphanage to meet the three siblings, we signed all the paperwork to transfer guardianship for one and consent for another family to adopt the other two. It has been a painful anniversary. We are grieving. But there is peace in the midst of the storm and we know it is as God intended it to be. He’s given confirmation at every turn and the dramatic change in each of the children proves it. Our friends, the Bollingers, have one of the most insightful and transparent blogs on Christian adoption we’ve read. We love this family and their endless passion not only for their daughters but for every fatherless child. They wrote a post last week on disruption and we posted the following comment on their blog. They used it as a blog post yesterday. This is the overflow of our hearts…there is nothing else to say. We can speak to this one. We were in for life…no ifs ands or buts…but three biological siblings of our four teens adopted last summer were not. What to do? Do we stand our ground, insist that because we are the ones who brought you home that this is your family and you are going to stay the course regardless of how you feel or how much you have hurt each other? They have so much pain from the abandonment of their mother and abandonment they have inflicted on each other along with insane jealousy toward another sibling. We wanted to give it time and work it out. We refused to give to the demands of two of them for 5 months determined that we could prove that we loved them and that it would get better. We asked our Christian adoption specialist counselor and also our social worker this question. “Do we refuse to let them go and hold tight determined to make it work?” It was our right as parents and what our heart screamed to do for months. We love them, we are in for the long haul. We courted them and “married” for life. We never changed our mind, it was never too hard. Both the counselor and social worker answered to let them go. Holding them against their will would destroy them, us and the 4th teen that is doing well. No one that knew them advised us to try to keep them in our family against their will. Then the Lord made it clear they were to go. He had prepared the way and been working upstream. Both families stories of how God prepared them to receive these children are incredible and obviously the hand of God. The timing was perfect. All four of them are doing much better apart in 3 different Christian families who share the same goal of bringing them to Christ. We have grieved deeply and still do, it is a death. It is not what we intended or wanted. We never gave up…we finally had to own that we loved them enough to let them go if that was God’s plan for them and they could find happiness and peace and others were standing at the ready to take the baton and water the seeds of faith we had planted. There is peace for all of us…for the two of us there is sadness in the loss, we are reeling…for the four teens there is profound positive change in each of them and confirmation at every turn that this was God’s plan. His ways are not our ways. It was not too hard for us, we were in, but at 14, 16 and 17 they had to want it and their wishes deserved to be respected. So after months of prayer and hanging on we opened our palm and allowed them to fly if that was their choice. We never put them out. We resisted them leaving with all we had…but they put themselves out. They chose to leave and we love them still. We pray side by side with their new families that they will come to see Jesus face to face and all the old will be gone and they will be made new. They have attachment and emotional issues, of course. We understand that they do not know what it is to be loyal and family and “for life” and all things eternal and steeped in love. But they are happy and slowly beginning to fly and everyone involved is supportive and assured this is best. We rest in that and delight in the amazing change in our son, almost 16, who has exploded in personality since he became the only child at home. He is passionate about Jesus, bonded to us, dug in deep in every area, relaxed, excelling in school, making friends at every stop and grateful to be in America. This was never about us…we pray we are faithful and follow as He leads even when it means signing them over legally to others guardianship or adoption this week…exactly one year since we met them. We love them enough to let them go and will pray without ceasing to the end for each of them to know Jesus. So, we are rejected and abandoned parents who followed the call, weathered the storm and are now grieving through the loss. God works in mysterious ways. Neither of these two families with six additional children could have spent 95 days in Ukraine fighting for these children, but we could and did willingly. Paying the ransom to free them and weathering the storm of their grief in the initial break from the only life they have known and all they have loved along with basic introduction to family life and following Christ was our part of the relay, now the torch is passing to others. Not our idea but God’s…our passion is to follow His call…even when it is hard and looks so different than we could have imagined. We love them all, always will. We want God’s very best for them so at their insistence we let go and pray without ceasing that they fly on wings as eagles, right into the arms of Jesus…who loves them so much more than we ever could. Taken Hostage or Testing Our Love? Thank you to so many of you who have sent such encouraging emails and comments, we are so grateful for you. We have, of course, received a couple of nasty ones too. If that continues we will likely take this blog private. Everyone who knows us and our children have been supportive and knows how much we have given and the love we have poured into these children 24/7 since April 1, 2011. God set our life work such that we could spend 95 days in Ukraine, blessed us with the financial resources to pay their ransom and now the ability to spend tremendous amounts of time with them. For all of that we are so grateful. This has been a tough journey but we knew it would be when God’s call came. People thought we were crazy to even consider adopting 4 teens at one time, but following Jesus always is and He never calls us to easy and sweet. Spiritual warfare is messy stuff. And if we have learned anything it is that satan is alive, well and thriving and has his evil eye trained on orphans and former orphans and any who try to bring them to Jesus and a life honoring to Christ. Are we not holding our children hostage if we hold on tightly to them when real love would set them free to another family that God has prepared for them? How do we know the difference in them feeling like hostages and when are they testing us to see if we love them and will pursue them? I have talked extensively with those very involved in our story and with our children and no one sees the two girls as testing but rather as being held hostage because a piece of paper said this was supposed to be it. What about when personalities between children, even bio siblings, is so strained that it makes living within the same family misery? Is it the right thing to insist they stay? For children who have such stressed histories, if this conflict can be avoided and they can live in peace elsewhere what is wrong with that? A counselor told us our blessing to launch forward into a new life and family is what one of them needed most. Another counselor gave us no encouragement to try to hold onto the other girl. The girls have never indicated to anyone that they desire to be pursued or are testing our love for them. We have one child in this group of 4 that tests us, we know exactly what that looks and feels like. That child has given us a serious run for our money. We’ve pursued and fought hard to prove our love to that child as well as each of the others. That child acknowledges they are testing to see if we will throw them out. We walked the journey step by step with with that child as they moved intensely through every stage of grief. We have done the same for each of them as that has played out at different times and stages in each child’s journey into this new life. We know their losses are huge. We know they cannot see the longterm gain for the acute, immediate pain of the amputation of all things familiar. It seems that for the girls we are inextricably linked to the pain having been the ones that took them from what they loved. Both girls say they were pressured to agree to be adopted and come, that is a major difference in them and the two boys and it plays out in every way. We have prayed and listened to the leading of the Holy Spirit and we are both convinced as are others that these two girls are not testing but rather felt held as hostages. There is no desire by one girl to share a family with the others. We pray the day will come that she can be honest with her siblings and they can be grateful for her watchful care for them for so many years and bless her to make her own way and life. We told each of them before we left Ukraine that we were not taking hostages and that if they did not want to come they were free to stay. We are folks who keep our promises, they are still free to go if they are sure there is another safe place where they can thrive and find joy. There is one who wrote appalled that we let a child go after only seven weeks. If you learned that your daughter had been held hostage in a bank teller line, would you say, “it has only been seven weeks”? We all know that seven hours as a hostage is an eternity. For that child, miserable trying to live intimately with a sibling that was impossible for her to deal with, seven weeks was an eternity. This girl is doing well and never given any indication she desires us to pursue her. She is thriving where she is and loves it there. We spent time with her today and she looks us in the eye and smiles and is genuinely at home and at peace in her new family. Our only desire for anyone we love is for them to know Jesus and have as peaceful and happy a life on this side of heaven as possible. Another significant factor with our 2 girls is that in Ukraine adulthood begins at age 16. At ages 16 and 17 now, both of our girls would have finished school this spring and likely been released from the orphanage into the world for advanced schooling (if they were accepted to a school) and life on their own, totally independent with no support system at all. Being an adult and having freedom to choose their location and home at age 16 is what they’ve known and been conditioned to all of their lives. They see themselves no differently here. To restrain them in our family against their will is clearly taking hostages, of which we will have no part. The two younger siblings are doing really well in their respite home. The family’s young children are drawing them in to play, learn and cooperate as they would never do for an adult. They are able to come alongside those little ones who are learning the alphabet and basic phonics and learn as they do. We are giving them time for the new to wear off and to settle in there and let down their guard and we will see how the Lord leads. Our home is always open to them to return. We love them dearly and it is a difficult thing for their places at our table to be empty. We are firm believers that sometimes the loving and humble thing to do is to acknowledge that God may have designed this as a relay race and we are to now pass the torch to the next family to run the next course of the race. It is not our choice nor what we would have chosen but we are at peace that if it is God’s plan we will follow His call. This has never been about us, we want only the best for our children. They are God’s kids and we will not be so prideful that we cannot allow Him to work in their lives. We cherish your prayers for the two siblings as they move from the newness of their respite family into more realistic days. We pray for a maturity in making decisions far beyond their emotional maturity. Both sets of parents have assured them both that they are welcome to return here anytime. We are leaving that choice up to them. Our son loved it here and was adamant for weeks that he was staying but decided to join his sister with the respite family when the time came for her to leave. This adorable little guy is having to make a decision no child should have to make and we pray for peace for him and that God will lead him every step of the way. We will not pressure him or put him in a difficult emotional drama but will let God work for the best in his life. Thank you from the bottom of our hearts for your kind, gentle, loving notes that encourage us to keep on keeping on and to not lose sight that this was God’s call and we have been faithful. Many have reminded us that at the ages of these teens they have to want this for it to work. The girls are struggling to even want to be in the US. Please pray for them to see how God brought them here and has a huge amazing plan for their lives. Pray that they will see Jesus and how very much He loves them and wants the very best for them. He has paid the ultimate price for true freedom for them. If any of you are walking a similar path or in the process of older child or teen adoption and would like to email us privately (follow his call @ gmail.com ) to chat in more detail we would love to share more of our story if it would be a blessing and encouragement to others. We seek to follow His call every minute of every day wherever it leads…Lord, keep us humble and we pray earnestly for wisdom to guide and love our children as Jesus does. As a little update, I talked to the respite care Mom this morning and our daughter and son are doing exceptionally well. There are some identical negative behaviors playing out, particularly with our daughter; using food consumption, or lack of, for control and nasty mad rebellious faces are being played out there just as they have here. They are handling it all with grace, understanding and firmness. It is good to know that this is the child’s issue and she does not discriminate…obviously this is not related to us..she’s rude to us all! There is comfort in that!! We are all praying for God to make clear His will for their lives. They have six younger children and that seems to be a great match for these young-at-heart teens. Our utmost prayer is that they will know Jesus, really know Him, and that they have a happy home where Christian marriage and parenting are modeled for them. We will watch and wait to see His plan for them. We thank each of you who have sent personal emails…you are so gracious and saying such nice things. We are so humbled. It has been quite a journey but we are grateful for every step as we’ve seen God at work as never before in our lives. He is mighty and able and it is Him that we serve, regardless whether the day is sunny and the hugs are tight or the skies are gray and the tempers are exploding. He is on His throne and will draw us all to Him. Keep the prayers coming and we’ll try to keep posting!! The first thing we said when the call from the Lord was clear to adopt older children was that this was not going to be easy, not for them or for us. This is a post that will illicit many emotions and opinions. So, before I launch in and am transparent let’s agree on something…we are all going to abide by Thumper’s Daddy’s theory, “If you cannot say something nice, don’t say anything at all.” 🙂 We cannot tell every detail about our children and not dishonor them so you are going to have to take what we can give and trust that we are following the leading of the Lord as best He reveals His plan to us. Let’s review quickly and get the bad over with first. 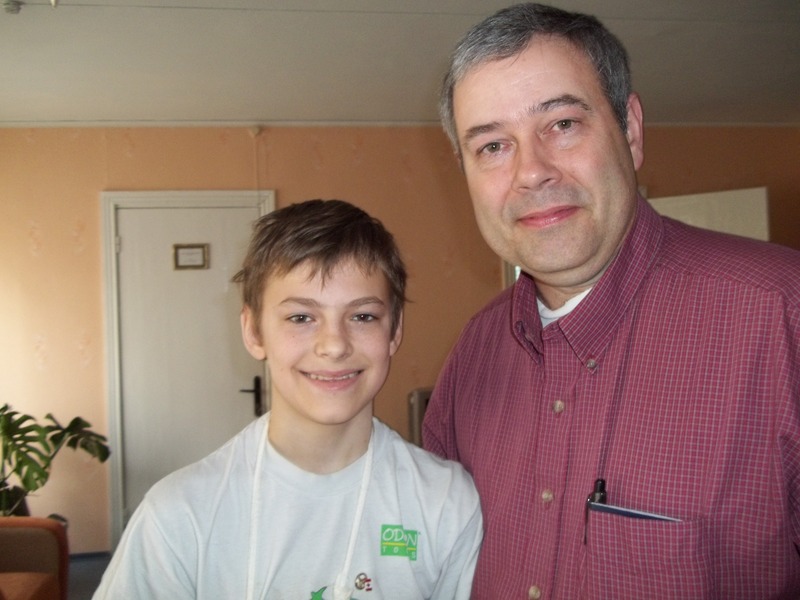 God made the way after 95 days in Ukraine for us to adopt 4 children, 13 – 16, in June 2011. Two girls (now 16 and 17) and their younger brother (now 14) are bio siblings. The fourth is a young man, 15, unrelated to the sibling group but friends for 8 years in the same orphanage. He was nearly fully fluent in English when we met him April 4, while the others varied in their English acquisition from nearly none to understanding most of what was said but having a limited vocabulary of words to use in speaking. If you read past posts you know that there was concern about the girls desire to come and ability to bond to us long before we left Ukraine. Even long before our court date. We questioned them in depth through 3 different translators and they assured us each time that this was what they wanted. We trusted that God had called, their adoption was in progress and our prayers were always answered to proceed and stay the course. To this day we have never doubted that was God’s will and we have no regrets of adopting any of these children. Our early weeks at home were tumultuous, but that was to be expected. They had expectations of what a family would be and of course reality was far different. There was a strong power struggle and as a couple who cherishes peace, happy people and lack of conflict we found that difficult. There is also a dynamic between any of the three siblings and the unrelated boy that made having them together difficult and at times impossible. We have spent the past 7 months attempting to analyze and gain control of this situation to no avail. Anytime he is with any of them in any combination there is incessant chatter in Russian and interrogation of him that quickly spirals out of control. We have identified it as old-fashioned jealousy to a magnitude impossible to define here. His ability in English and cooperative spirit gave him many opportunities academically and socially and we were faced very quickly with the decision of whether to hold him back due to their jealousy or to launch him forward at his level of capability. Their favorite line, straight from Communism, is that everything that happens that does not favor them is not fair. God impressed on us that we should not hold him back academically and socially until they were ready for the same level so we enrolled him in a full English speaking school for homeschoolers that offers classes taught by degreed teachers one day each week in high level academics and many social opportunities. Of course this involves hours of intense homework each day that separates him from them and fuels the jealousy fire. We encourage him to reach his potential and he has excelled beyond what we could have imagined. Seven weeks after we got home the oldest girl walked out. Dear friends offered her respite one day at a time and she is still with their family. We offered to try to find a family that was willing to take all three of the bio siblings so they could stay together. She refused. She did not want to live with the others and wanted her own family and life. We are learning that she and her sister do not get along and could never be in the same family. She has settled in and is bonding with her new family and doing well. Her two younger siblings instantly demanded a new family also. In hopes that this would pass and we could prove our love to them we did not pursue this demand. They settled down some but still struggled with the loss. I want to say very little about this but a crucial factor is that in her distress before their sister left she instilled in them a distrust in us. She accused us of bringing them here to be slaves, that we were trying to poison them with food and vitamins, etc. The two boys have been able to put this behind them, bond to and trust us but her sister has lived in distrust and on hyper-alert since that time. It was a second abandonment for her and this time seems worse than the first loss of her birth mother. Being in a new country, a new family, a new language and so many losses of things she loved has been more than she can bear. She lost the mother figure she had known and depended on since at least age 4. She also seems to feel a responsibility for her brother. About three weeks ago she announced that she was leaving the following morning. We assured her we loved her and hoped she would stay but she was adamant. The following morning she did not leave but joined into the daily routine without issue. We thought perhaps this had blown over again but not so. She started in again about wanting a new family and this time she held firm that ANY family would do but she had to have a new family. We tried to talk with her, secured counseling for her that she refused to cooperate with, even with a gentle Ukrainian translator to help, and this past Saturday she walked out. She was back within the hour but still adamant that she have a new family immediately. We’ve questioned it all…is she testing us to see if we love her and will pursue her? No, she’s not. She truly distrusts us to the point she cannot rest or survive in our home. She wants OUT. Of course she is not realistic in believing any family will be better. We have sought counsel from many adoptive parents who have walked this path, her counselor and others and no one is advising us to try to keep her at home. She will say nothing we have done wrong. Thankfully the counselor was able to encourage her to consider the unresolved feelings toward her sister and acknowledge that what she feels needs to be directed at that loss, not us, and she is acting on that. A Christian family offered respite care for her while we pursue a new family for her. We gave her the option to go and she accepted the invitation. It has been heart-breaking to watch her brother vacillate between wanting to stay with us, saying he is happy and our family is good for him, and potentially losing his sister. When she decided to go to the respite family he immediately asked if he could go too. He has been a delight and done incredibly well, especially in light of her efforts to pull him down into her despair. The family agreed to take them both so they spent their first night there last night. Today’s report is that it went well and they are welcome there as long as needed. There is a family considering guardianship and eventual adoption of this young lady, and her brother also if he chooses to join her. We are talking with them at length and doing every possible check to be sure it will be a good fit and safe place for them before we move forward on that possibility. How are we? Numb. In disbelief. But resting in God’s promise in Philippians 4:13 that ALL things work together for the good of those who love God and are called according to His purpose. Perhaps God called us to be the vessels to enable these children to be freed and brought to this side of the world but it appears His plan for us to be involved in their lives may be coming to a close. It is heartbreaking and certainly not what we would have chosen. But, as we said in those early days and many have said to us, at their ages they have to want this for it to work. At this point they are so disillusioned they have no idea what they want or need but she is adamant she does not want to be a part of our family. The huge gaping hole in their hearts can only be filled with a relationship with Jesus but they cannot see that yet. They cling to their Russian language and Orthodox beliefs to prove their loyalty to Ukraine and refuse to move forward into a new life in America. They are crawfishing…backing into the future looking into the past. Our only prayer is that His will be done in their lives. Both girls have been determined to return to Ukraine at age 18, of course, they do not realize the reality of what that life will be. We have learned that great orphanages are a blessing and a curse…they were very good to the children, what a blessing, but they were so good to them that that these three siblings do not see the reality that awaits outside that fence. We have talked with the orphanage workers and they say the same. We pray they will have ears to hear and allow God to order their lives. We will be at peace with His will for them, whether that includes us, or a life in America, in their future or not. Let’s move to the good news!! 🙂 Both boys have done very well. They both enjoyed soccer last fall, have delightful attitudes and are great fun! Our oldest son has made many friends, loves every activity that is available to participate in and has all A and A+ grades. He has a great attitude and a joyful spirit that is endearing to everyone he meets. As he says, he has worked hard for his English and now his English is working for him. Well said and very true. His English is incredible and has improved dramatically in recent weeks. We are rejoicing that in early December he accepted Christ and was baptized. He has truly made Jesus the Lord of his life and God’s grace has flooded him. It has been incredible to watch his transformation. He is taking every thought captive and living to honor the Lord. We are always amazed at how God works in this young man’s life placing people in his path for the current situation. I could list countless examples. A few weeks ago he wanted to find a C-group to attend, small groups of teens that meet in a family’s home from our church for Bible study. He knew one young man in the group from his school and we were amazed when we met the other 7 members of the group that one boy was adopted from Ukraine, one from Russia, one girl adopted from the US as an infant, and another girl has a sister that is adopted. Out of 9 kids, 5 of them have immediate ties to adoption. Coincidence out of the dozens of these groups that are available in our area? Not a chance…it is a definite Godincidence. He loves this group and the Bible study. In December, he had neurosurgery for bone repair to an old head injury at age 5 that left a large hole in his skull and spent 6 days in the Children’s hospital over an 11 day span. His follow-up appt. was today and the doctor was very pleased. He will have a CT scan in mid-March and then see the doctor again and if all looks good he will be released. 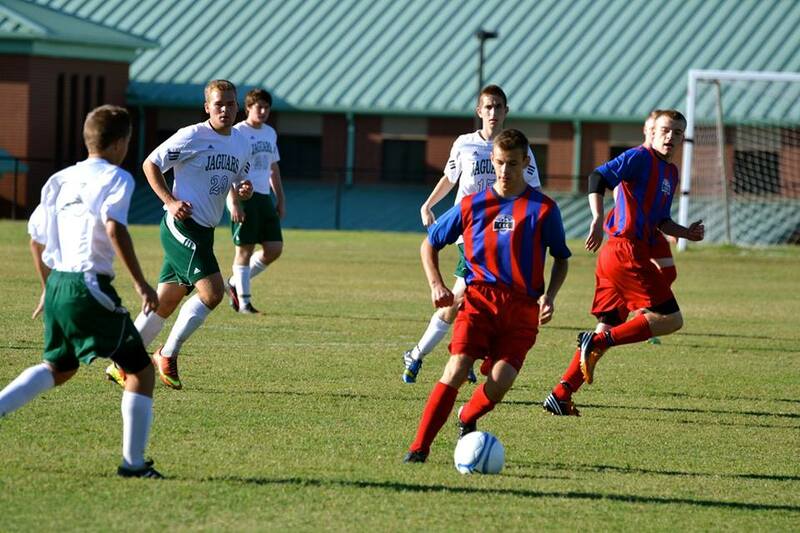 He is restricted from contact sports for one year and is grieving the prospect of not playing soccer this fall. We talked about helmets and other possibilities with the doctor today so we will see what the coming months bring. He has displayed incredible resiliency to be willing to pursue other interests while he is banned from the sports he loves. He is playing chess in a weekly rated tournament as well as table tennis/ping pong and being in the show choir at his school. Track starts soon and he desires to compete in that as well. He works hard to improve at everything he does and truly works at everything as unto the Lord. The younger son is full of personality and drama. He loves to joke and enjoys his Dad’s humor and picks up on funny lines quickly. He is affectionate and so very sweet. He is the first one to say thank you and I’m sorry when he has offended. His English is coming along well and he speaks very clearly. He loves to work with his dad, has never seen a tool he does not like and is very creative and artistic. He enjoys 4 classes in the homeschool co-op he and his sister attend each Thursday. It has been incredibly painful to watch him have to make a choice between his sister and us and his new brother. We ache for him. We continue to follow God’s call wherever it leads. We will be honest and admit that the past two to three months have been rough ones to travel. We are beyond exhausted and emotionally drained. While life rarely looks like we envision it we know He is faithful every step of the way and we are called only to be willing to be used and follow where He leads. We cherish your prayers for our family during this tough time of potentially following His call to release two more of our children to a new family. My grandparents passed to heaven from terminal cancer and I was very involved in their care. There comes a point in that journey where you realize that the condition is terminal, the suffering unbearable to watch and the only prayer becomes the need for healing or relief. Several weeks ago we identified our youngest daughter’s condition in our family was terminal and realized we had moved to that place of praying for healing or relief. When she refused to cooperate with counseling to find healing, relief became the only option. Her anxiety level is painful to watch. We did not put her out, she put herself out and her brother has chosen to follow her for now. We are forever grateful to the sweet young family who are open to be used by God and felt led to offer respite during this tough time. We enjoyed a quiet afternoon at home today talking through all of this and praying for wisdom. We have made it a priority to connect to talk and spend time just the two of us each day but the pressing questions of the day always dominated those conversations. Today we were able to step out of the box and look at the big picture objectively. It was a refreshing time for both of us. We desire only God’s best and the saving grace of Jesus for each of our children. Whether that includes us in their lives or a fresh start for our daughter ~ and likely her brother too ~ is up to God. Thank you all for the kind notes of concern and prayers for our family through the months. We held off on this post watching and hoping for some resolution and definitive information to post. We apologize if we have caused concern. Please continue to pray for each of us and especially for God’s protective hand and guidance on each of our children. We love you all!! Sorry it has been so long. The days end way later than they should, with more on the list to do than day to do it, so posting here waits. I have the day alone while they are all at the farm working, having fun playing soccer and enjoying the day, so laundry, catching up on paperwork and updating here are on my list for this quiet day at home. Quick overview, we are all fine. We’ve been in the US six weeks and had three medical emergencies but no illnesses. This week was a toothache in our little guy that had him in tears. Our dentist was willing to work him into a very busy day and filled 2 cavities that seem to have been the culprit of the problem. He has five more fillings to go. Not sure why I was surprised there are so many when this child welcomed us each day in Ukraine with a piece of candy and had an unlimited supply the entire 10 weeks we were there. We still wonder who supplied these children with candy but few toothbrushes. One of our favorite blogs is our Texas friends, the Bollinger’s, More Love to Give. They are doing a series titled “Adoption is Hard” and their post this week on Spiritual Warfare is a must read. They say it all well. We have walked this road for 23 months and now more intensely than ever. We learned this week of a cancer diagnosis for our friend, the dear mother of 8 children, 4 adopted from Ukraine and Russia. We met at the SDA in mid-March and spent a wonderful afternoon in Donetsk a month later. We would ask that you remember this family in your prayers as they are thrust into this new arena of warfare. Having read many blogs of adoption of teens, when we stand outside the box and observe we always agree that we are doing well although everything is not perfect. A friend wisely cautioned us while we were in Ukraine to not “over-analyze” these children. They have ups and downs, good days and bad, responsive moments and non-responsive ones and can be unbelievably sweet as well as downright ugly and impossible. We’re seeing every one of those…many at the same time. It is a roller coaster ride and we see that this transition is so huge for them that they have no stable footing to stand on or hooks to hang anything on, for them to be consistent is not even an option. In recent days I’ve reminded myself of an analogy of a tea cup I have used many times in reference to marriage and the addition of children. In my college years I saw so many young people who struggled with their cup half-full searching for someone to marry to “fill their cup”. I saw the same happen in struggling marriages and a baby was seen as the way to fill that half, or even less, full cup. I realized that nothing and no one can fill our cup but Jesus. Our cup has to be full and overflowing onto the saucer so that we can give the overflow away and never miss it when we add others into our lives. God has been reminding me of my old analogy in recent days. Our cups individually and collectively in our marriage are full to overflowing and we are intentional about keeping them full through our time together and with the Lord. God called us to pour the overflow into these children. I remind myself daily that they have nothing to give…just as a newborn demands and never gives, the same is true of these children. In our family, they are newborns, 6 weeks old in family age. While they can do many tasks for themselves and sleep through the night (after an intense and often lengthy struggle and standoff) there is much that is reminiscent of having toddlers. And we have quadruplets. Church is still hard for them, especially for one of them. Satan is warring for the heart of this child beyond anything we have ever seen. We pray without ceasing for Jesus to win the heart of this precious child. Many thanks for the many food suggestions…they are open to more new things. It is still tough to plan meals but we have relaxed on it and many encouraged us to make yogurt, fruit, etc. available to anyone who does not care for what is served. This has worked well and reduced the stress. We have selected a cottage school for Algebra 1 and Chemistry for our English speaking one who is ready for this level of academics. We have been working for several weeks on these subjects along with English grammar, Rosetta Stone English and a typing software and he is doing extraordinarily well. The other three will be doing a homeschool co-op with many acadamic, music and other classes. Barney will be teaching two levels of woodworking classes so preparing those projects will involve us all. The boys will be doing a four day robotics camp this week. Next Saturday they have evaluations for team placement for soccer which starts in two weeks. The oldest girl was interested in volleyball camp two afternoons this week so this will be our first week of chauffeuring and them being involved in outside activities. We look forward to the extra dimension this will bring to their lives. One of our greatest issues has been an obsession by three of them with every move the other one makes. We hope more activities and hopefully new friends will help diffuse this and be the spark for mastering English. We cherish your prayers, please keep them coming, the greatest warfare is yet to come as our children’s hearts turn toward Jesus. The task often looks overwhelming and we have some issues that are intensifying as the newness wears off and reality sets in. We said from the first day that this was not going to be easy, and right now very little is easy. We remember that this is not about us…that our call was to go to them, open our hearts and home and He will do the rest. It often takes us farther than we think we can go, but we pray that with God’s grace we will be stronger and more like Him. We’ve been in the US 4 weeks and will have been home 4 weeks this Tuesday. All in all, we’re all doing well. Far better than Mom and Dad could have expected or imagined. We’ve had an uneventful week for the most part…just the way we like it. Don’t misunderstand, we’re not talking perfect…we’ve got some attitude stuff going on at times that we could live without. But, most days are calm, everyone gets along well and things go very smoothly. Our biggest praise and answer to prayer is a calmness with church the past two Sundays. They go willingly and there is no fallout afterward. We are beyond thrilled that this is not a huge meltdown each week as we experienced the first two weeks. One of the girls took her Russian New Testament this morning and had Alex looking up the scriptures in it for her during Bible Study class. We have Russian English parallel Bibles bought for them and hope to get their names on them tomorrow so they are ready to give. The current four week sermon series at our church is AHA, the moment when realization about God comes that changes everything in a person’s life. Our young teaching minister, Kyle Idleman, is preaching this series and he is dynamic and they can relate to him. We pray that God is opening their precious hearts to His love and Jesus’ ultimate sacrifice for them on the cross. We’re deep into research about school options within our homeschool community for this fall. One is ready for serious English academics and will be taking Chemistry and likely Math at the cottage school. We’ve learned of two other co-ops with excellent classes that are options for the others who need more time with English. We continue to pray for wisdom and direction in this area. Here’s a little rundown on the laundry list of “how they are doing”….they are eating better and more open to a few new things. Thanks to our local friends and our blog world friends who emailed and talked with us about this issue after I blogged about the stress over food. Unanimously everyone advised that it was not a huge stress point. Keep fruit yogurt and ramen noodles and fruit and if they don’t like what is served they can eat from that stash. At the very same time we started getting calls from a homeschool neighbor friend who works for a local fruit and produce market. She gets the produce at a great discount that cannot be sold as first quality. She shares the surplus for a fraction of the retail cost and it has literally been manna from heaven. The cost of fruit was breaking the food budget and four days this week she has called with nearly whole cases of produce…peaches, apples, oranges, cantaloupe, watermelon, peppers, corn on the cob, onions, it goes on and on…we are blown away by God’s provision and figured out that we need not stress about food. Literally the same day we decided to no longer make it an issue they started eating what we serve. Isn’t that the way? There are still meals that one may not eat as well but with this fruit stash and the yogurt we just let it go. They also all love tomato juice and we found an economical source for 64 ounce cans so we open one and divide it between them at each night meal so that is another source of a vegetable. They sleep great. They all read before bed and are quieting down much earlier. We had a pattern of them staying up way too late for a couple of weeks so this week’s mission was to get that moved back an hour and it is accomplished. They ramble longer than we would prefer running in and out of the restroom but eventually they get to sleep and sleep well for 10-12 hours per night. Friday I took them to Tom Sawyer State Park for swimming and we had a great time. We stayed so long that our sunscreen let us down a bit so we’re all sporting more sun than we would like but it was a fun afternoon. The 3 younger ones enjoyed the diving board and did well swimming to the side and doing it again and again. It brought back fond memories of my many summer days at the Sportscenter Pool in Owensboro. Today the boys went home with our friends after church for a swim with their boys at their aunt’s. We took the girls out for lunch and then home for the afternoon. Nicole used the afternoon on the computer doing Rosetta Stone English while Pavlina enjoyed a movie with us. We met back up with the other family and another adoptive family at a park and shared a picnic dinner and fun at the park for a few hours. We are so blessed by time spent with the other families who have walked this path and have children so near in age to our children. English is coming slowly…very slowly. In all honesty, I look forward to the day it is spoken around our dinner table again. It has gotten old to sit through a meal listening to them chatter in Russian. We know that there are times that some of them are not kind to each other and say things that should not be said so we will be glad when English is the primary language in our home so we can address character and kindness issues when they arise and all be a part of the conversation. Vanya’s English has improved alot this week, he understands most of what we say and can communicate most of what he wants to say. He’s still loving being his Dad’s shadow and has never seen a job he does not like. He adores the kittens and he and Pavlina give most of their care. We still take our nightly hour long bike ride to the park and enjoy playing on the many things there. We all look forward to this all day. There are the highlights of life at our house at the four week mark. God’s provision through our produce manna is amazing, just what we need when we need it. The kids are doing well and Mom and Dad are as well. We have times that we feel really overwhelmed with the responsibility and have to remind ourselves to not overanalyze their every move and mood. We remind ourselves that God called, we followed, and our main responsibility is to continue to follow His lead. We are inadequate for the task…that is certain and we know it. But, He is able…and we are honored to be a part of His work in their lives. So, we rest all we can, take deep breaths, remember that we are just messengers of His love to them, and do the next thing. It truly is all we can do…and all we are called to do. Thank you for your prayers, love, care, and friendship to us…we are so thankful for each of you that God has placed in our lives to journey with us. You remind us of just how much Jesus loves us when we see Him in you…thank you.